Exhibits entered in the Single-Frame Championship competition are not eligible. Note: AmeriStamp rules state that an exhibit that is eligible for the Single-Frame Championship class is NOT eligible for the Single-Frame open competition. Additionally, exhibits that win a Grand at any WSP or Canadian National exhibition between the end of 2014 and AmeriStamp Expo 2015 are also not eligible for the Single-Frame open competition (and therefore not eligible for the 1-Frame Team Competition). Teams will earn a 10-point bonus for each �new� exhibit � never shown at the national or international level (minimum = 0; maximum =50). Exhibits previously shown at local/regional shows are acceptable as �new� exhibit. Teams earn 10 bonus points for each special award, including 1-Frame Reserve Grand Award(s). A bonus of 20 points is earned by the exhibit winning the 1-Frame Grand Award. A bonus of 10 points is earned by the exhibit winning the 1-Frame Youth Grand Award. Only awards presented at the banquet are eligible. Only one (1) special award sponsored by or presented by any given society or organization may count towards a team�s total score, with the exception of awards sponsored by the American Philatelic Society or the American Association of Philatelic Exhibitors. 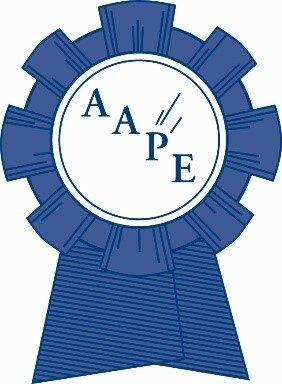 All awards by APS and AAPE will count towards a team total score.